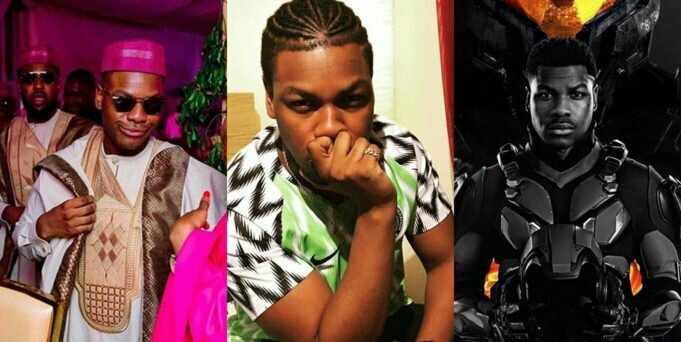 Nigerian-British actor, John Boyega has declared his support for the super eagles of Nigeria with a sweet and hilarious post on social media. 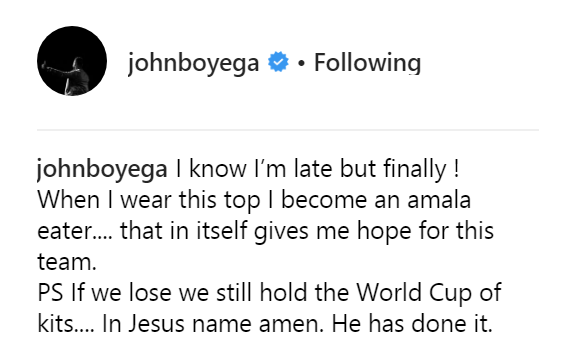 The Star Wars actor showed off his newly acquired Nigerian Jersey on his Instagram page and declared that even if the super eagles lose, atleast they have already won the best kit in the world cup. “I know I’m late but finally ! When I wear this top I become an amala eater…. that in itself gives me hope for this team. 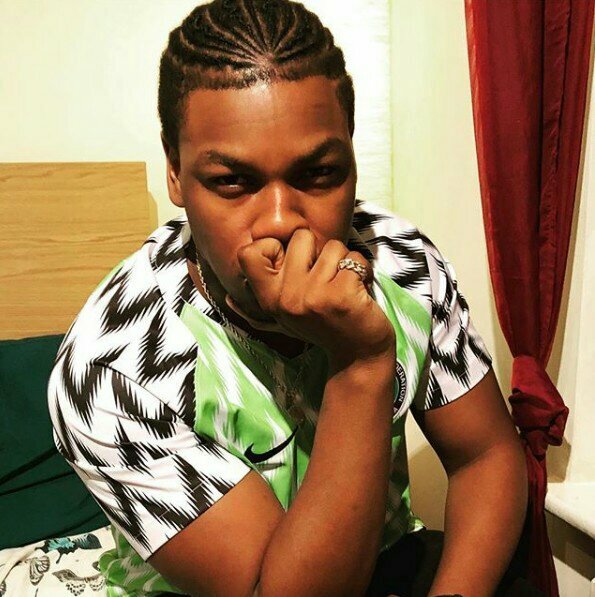 0 Response to "“When I Wear This Top I Become An Amala Eater” – Actor, John Boyega"